The second Vista class ship for Carnival Cruise Line has started to take shape at the Fincantieri shipyard in Marghera, Italy. 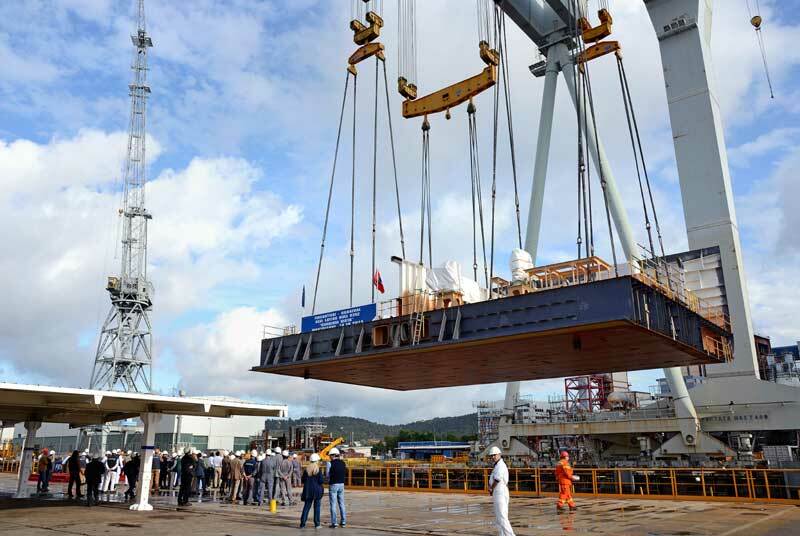 The traditional keel laying ceremony was held today which is a major construction milestone. The ceremony was attended by key personnel from Italian shipbuilder and Carnival Cruise Line. The yet to be named vessel will be the second in the Vista class and sister ship to Carnival Vista which will be delivered to the cruise line this month. The second Vista class ship will be delivered in 2018 at around 133,500 gross tons and carry 6,500 guests and crew. No further details have been released on the ship but expect to see an identical design to the Carnival Vista along with similar onboard features like SkyRide and an IMAX Theater.